More positive survival data with Roche's chronic lymphocytic leukaemia (CLL) drug candidate obinutuzumab put it on track for approval by year-end. Roche said updated results from a phase III study of obinutuzumab (formerly GA101) showed the anti-CD20 antibody improved progression-free survival (PFS) in people with CLL compared to its established product MabThera/ Rituxan (rituximab) when both drugs were given on top of background therapy with chlorambucil. The final results from the trial reinforce the findings of an interim analysis, which formed the basis of regulatory filings in the US and EU earlier this year, as well as priority review and breakthrough drug designations from the FDA. "These final data were reached well ahead of the target completion date in 2014 as a result of the magnitude of difference seen between the two study arms," said Roche in a statement. Obinutuzumab is one of the first antibodies in Roche's pipeline to be glyco-engineered, meaning that it has been developed with sugar molecule side chains designed to improve its therapeutic and safety profile in the body. 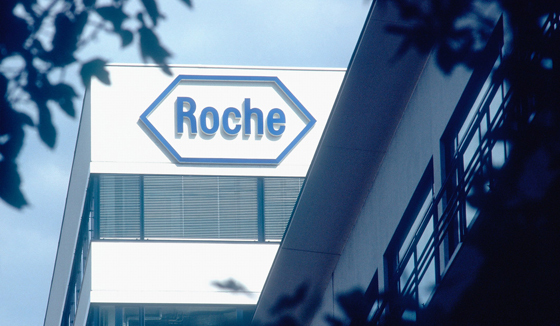 The antibody is also commercially important for Roche as it faces the loss of patent protection for MabThera in 2015, potentially leading to competition from biosimilar versions of rituximab. MabThera is Roche's biggest-selling product with sales of 6.71bn Swiss francs ($7.16bn) last year. CLL is a slow progressing but hard-to-treat blood cancer generally affecting older people, and is seen as a major growth market within oncology that could be worth as much as $10bn a year. MabThera - which also targets CD20 - has been the main driver for growth in the CLL market in recent years, particularly in patients who cannot tolerate chemotherapy-based treatment with chlorambucil or fludarabine. As an improved version obinutuzumab is predicted to generate peak sales in excess of $2bn, according to EvaluatePharma, although its ultimate potential could be affected by oral therapies coming through the clinical pipeline, notably Pharmacyclics/Johnson & Johnson's ibrutinib and Gilead Sciences' idelalisib. Another oral candidate - AbbVie's ABT-199 - suffered a setback earlier this year when trials were suspended in the wake of two patient deaths, while Celgene's bid to develop its Revlimid (lenalidomide) for CLL has been stymied by a high mortality rate with the drug in trials. Roche is also developing obinutuzumab in other forms of blood cancer, including non-Hodgkin's lymphoma and diffuse large B-cell lymphoma.